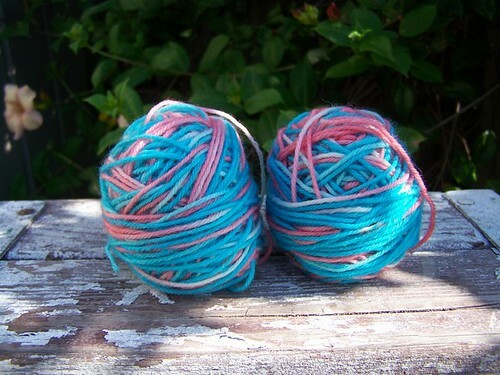 ← New running inspiration & scrap yarn ideas! I have done rather well the past couple of weeks, I think. Despite staying up too late most nights, I have finally been able to get up early enough most days to get out & run before work! w00t! I have been pushing it a little hard, though… I know that I’m not supposed to increase my distance by more than 10% each week, but honestly, I think I’m ok. In spite of feeling like I could run longer, I have restricted my runs to only 2 miles, concentrating on getting the number of runs back to where I want them first. Once I hit the point where I have daily 2 mile runs, then I can begin adding more miles to runs here & there. It’s really hard to be patient in the meantime, though! LOL! I’ve managed to add one day per week over the past couple of weeks – I’m up to running 4 days a week now. I really want to leap right into it & just run 2 miles every day, but I am forcing myself to go slow. No sense in putting myself right back to where I was last year with the tendinitis – it takes too damn long to recover from that! So I keep telling myself. But man, is it ever HARD to be running so little & so slow…! 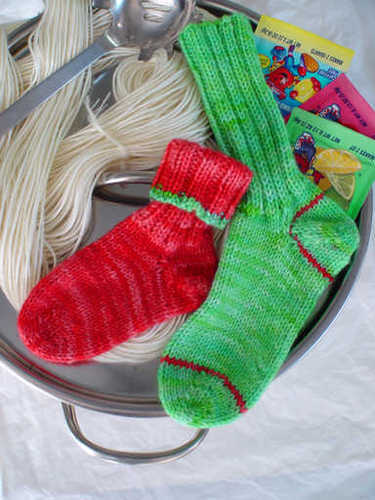 So the oldest manlet demanded that I knit him a pair of socks last week. He was quite clear on what he wanted, too. They had to be hot pink & blue. I just finished up the socks this morning, yay! 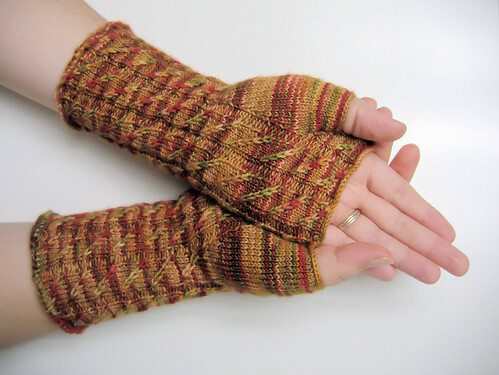 I just knit them rather plain, as the colors pretty much would cause any fun pattern to be lost. I’m pleased with how they turned out, anyway! I”m not sure what I’m going to tackle next OTN. 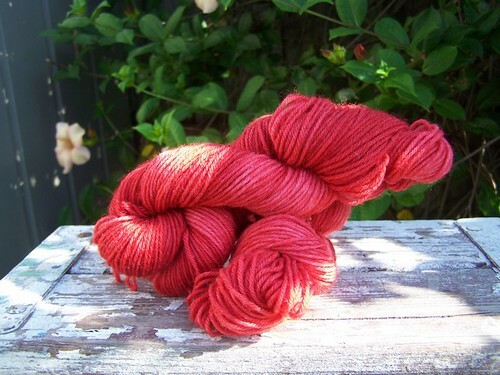 I’m still terribly bored with the lace leaf shawl, so it will likely be a pair of socks for the youngest manlet. Or another pair for me since they are on vacation with their father the next 3 weeks…! I also finished up my shawl. 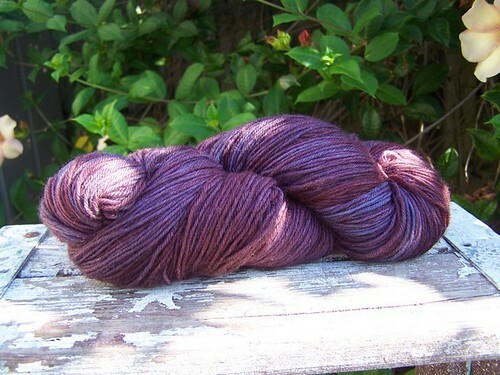 I had dyed up sock yarn & knit it into a shawl with some leftover chocolate brown sock yarn. 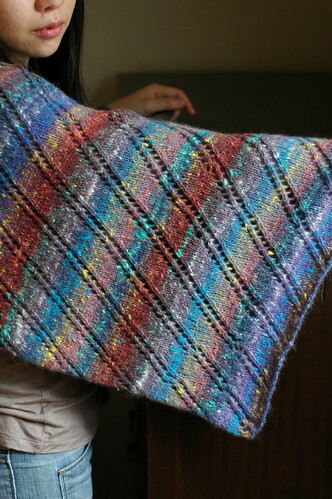 I called it my “Watching Doctor Who” shawl, as it was my knitting project during a Doctor Who marathon. Well… not that I’m done with the marathon yet – since I’ve gotten so hooked on it, I’m watching the entire series over again. This go round is the 3rd time. And I just might have watched some of the favorite episodes more than that. Like “The Empty Child”, “Blink”, “The Girl in the Fireplace”, “Utopia”, “The Next Doctor”, “Silence in the Library”, “The Unicorn & the Wasp”… ROFL! So in light of all the Kool-Aid dyeing I’ve been doing, here are some things from today’s search! 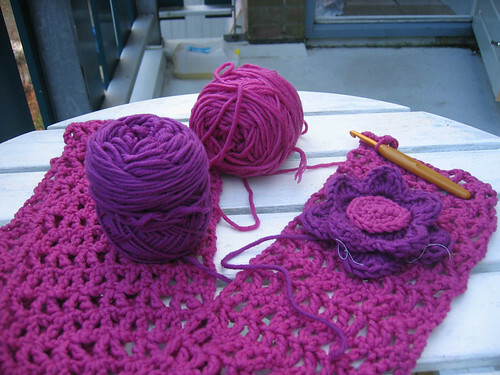 As always, click the photo to go right to the Ravelry pattern page. 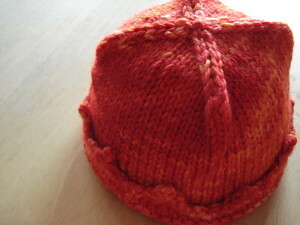 * Cute little baby hat! 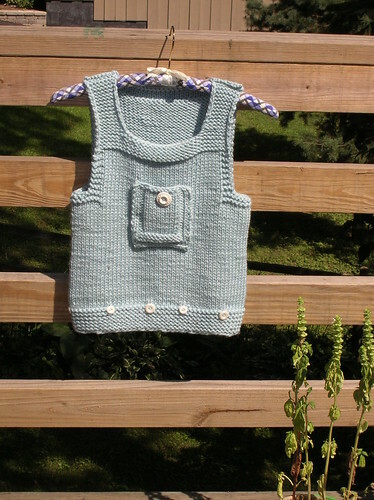 * What an adorable little vest! 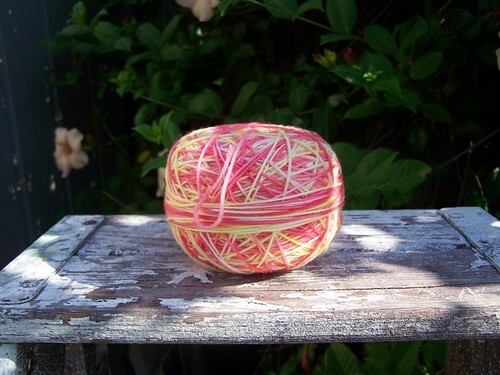 * A terrific pattern for showing off handdyed yarns! * Kool hat! 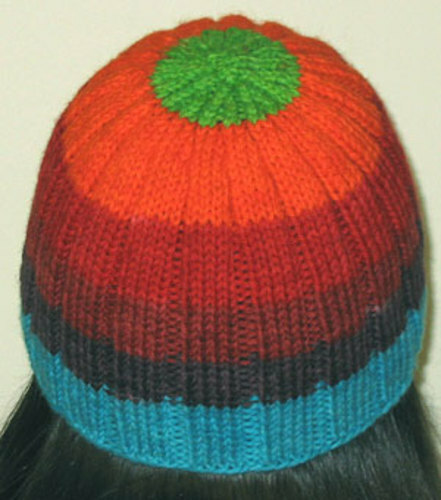 This hat was knit with yarn all dyed with Kool-Aid - awesome colors, eh?! * I like this one, simple & clean but not boring at all! 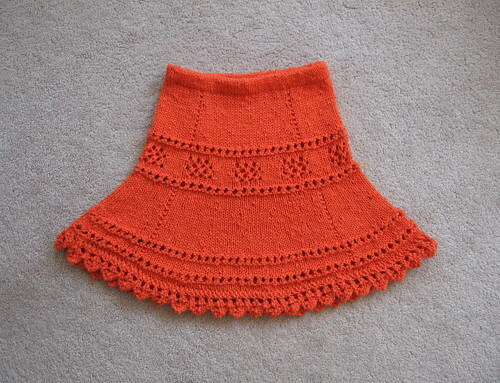 * OMG, what an adorable skirt for a little girl! Almost wish my nieces were still that little! 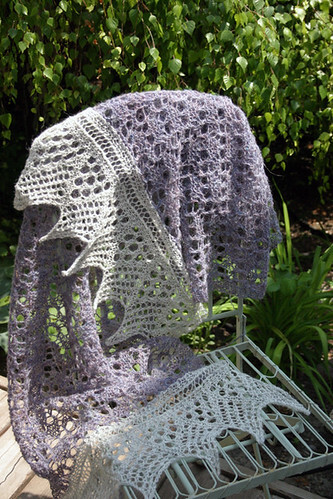 * Pretty stole - I bet it knits up really fast, too! * CUTE! 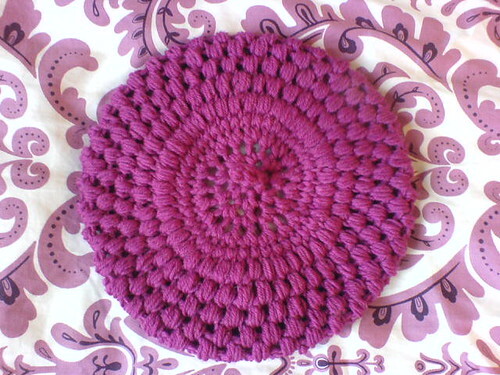 Crocheted puff beret. 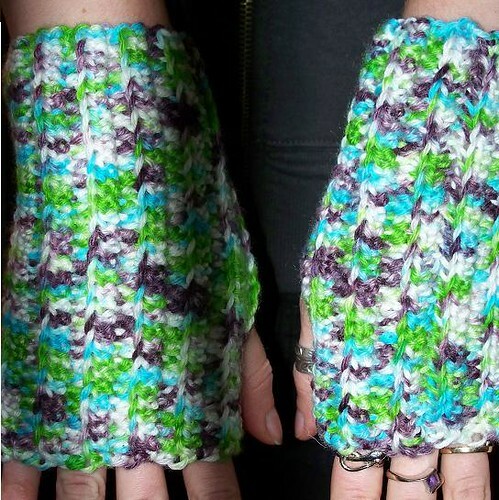 * Crocheted fingerless mitts! Love 'em! 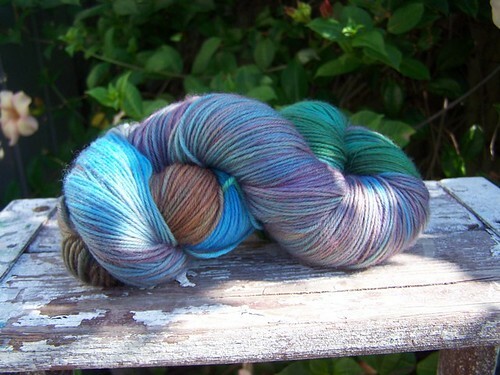 This entry was posted in Running and tagged Doctor Who, Dyeing, Knitting, Kool-Aid, Running, Today's Ravelry Search. Bookmark the permalink. I agree with you on the Stephen Moffat eps of Doctor Who- Blink was probably the scariest thing I’ve ever seen on TV. I shall miss David Tennant, but tbh Chris Eccleston was the one who set my pulse racing! 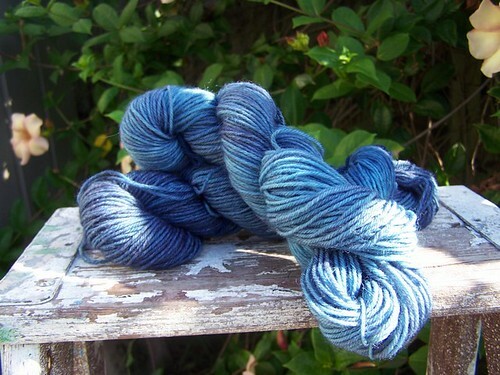 I hope when I finish the shawl I can concentrate enough to do some dyeing too… Which favor made the blue color??? Oh, and how is spinning??? Oh, A – I love it! :) If you like X-Files, you will like Doctor Who, too. ;) Though I think you would probably really enjoy Blackpool even better. I haven’t seen a single episode of X-Files. No surprise there, I know – I just don’t like TV. Except for, obviously, Doctor Who. LOL!